With the variety of server-side technologies today, developers have a lot of choices when it comes to deciding what kind of backend to use for the next app. 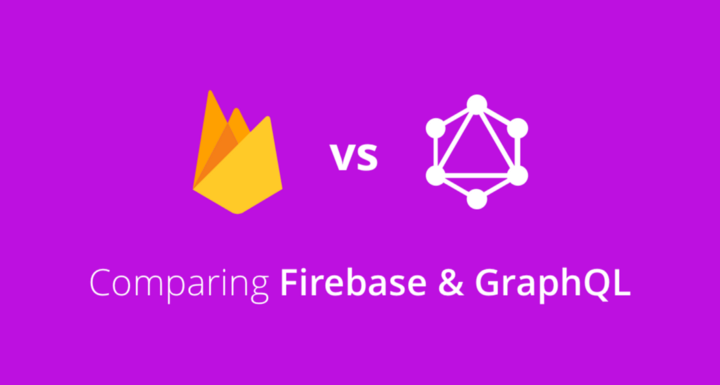 In this article, we want to explore the differences between Firebase and GraphQL, two very popular server-side technologies. Before diving into technical details, let’s create some perspective on the two technologies and where they’re coming from. Firebase was started as a Backend-as-a-Service (BaaS) with realtime functionality as its major focus. After it was acquired by Google in 2014, it evolved into a multifunctional mobile and web platform also integrating services like analytics, hosting and crash reporting. GraphQL is an open standard that defines how a server exposes data. It that was open-sourced by Facebook in 2015, but had been in internal use for much longer. Facebook released GraphQL as a specification, meaning that developers who want to use GraphQL have to build their own GraphQL server. Using Prisma as a "GraphQL ORM" layer the implementation of a GraphQL server becomes straightforward. In that sense, GraphQL and Firebase are already very different. Where GraphQL only specifies a way how clients can consume an API, but it’s irrelevant where and how that API is provided, Firebase is a solution that ties any client closely to its platform. With Firebase, data is stored in a schemaless manner using plain JSON. The database is organized as a large JSON tree where developers can update the existing data in any way they like. That means they can add, update and remove data entries by simply manipulating the tree without any default validation from Firebase. This approach is very simple to understand but makes it more difficult to maintain a codebase on a longer term. Developers have to manually keep track of their data structures and need to make sure these are used consistently throughout the lifetime of the project. While this approach might work for smaller projects, it’s practically impossible to build a sustainable and complex application with it. The Firebase documentation further states that “building a properly structured database requires quite a bit of forethought”. When designing the structure of the data, it is recommended to follow best practices and trying to keep the data tree as flat as possible to avoid performance traps. Since the full requirements for an application are rarely known upfront, it’s extremely difficult to design a proper database structure before going into development. This becomes problematic when changes need to be made later on since these incur high costs due to the unstructured nature of the data stored in Firebase. 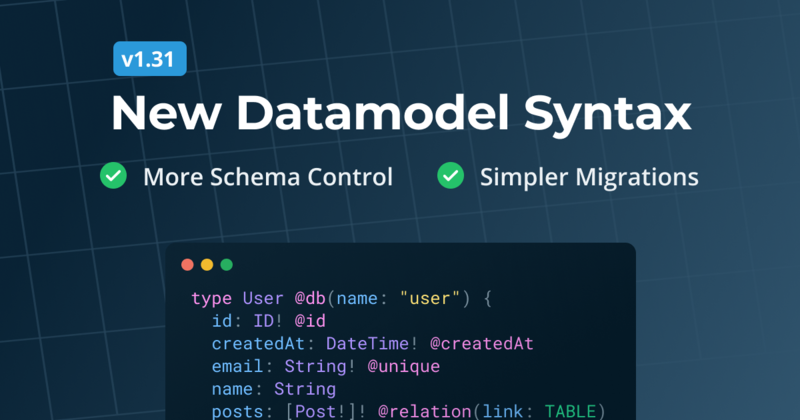 A major limitation of the Firebase way to structure data is the missing concept of relations. Considering a simple Twitter-like data model with users that can publish tweets, the question is how to organize the relationship between the user and the tweet objects that are stored in the JSON tree. As mentioned above, it’s recommended to keep the JSON tree as flat as possible. A common approach to solve this issue is to refer to other objects in the tree using unique IDs. This however leads to limitations when more complex data needs to be queried. Another approach is to duplicate data, which results in an extra maintenance burden and is also error-prone as it’s likely that some duplicated parts of the tree will be forgotten when data needs to be updated. With the Firebase approach, developers also often end-up with structures that are unnatural to the way how we actually think about data. For example, when taking into account the Firebase permission system, you’ll often end up with branches in the JSON tree whose names also encode data access rules like admin, userReadable or userWritable which at that moment is adding unnecessary complexity to the nature of the data to be stored. GraphQL on the other hand is based on a strong type system that serves to describe the data that is going to be stored in a database. The GraphQL schema for an application is expressed using a simple yet powerful syntax, called GraphQL SDL (schema definition language). The types that are specified in the schema are the basis for the capabilities of the API. Note: This is a data model as it's used by Prisma to create a User and a Tweet table in the database and generate corresponding CRUD operations in the GraphQL schema. Strong type systems have a number of advantages. First and foremost, they provide the ability to update and extend the data model in a safe way during any stage of the development process. That’s because types can be checked and validated at compile- and build-time. With this approach, many common errors that relate to the shape of the data flowing through an app are caught. In that sense, a strongly typed application brings together the best of both worlds when it comes to flexibility and safety! A strong type system further provides lots of opportunities for static analysis that go beyond data validation. With GraphQL for example, static analysis of the queries to be sent can bring immense performance benefits. The strongly typed nature of GraphQL ties in particularly well with other strongly typed languages, such as Flow, Typescript, Swift or Java. When building GraphQL applications with these languages, the schema can be understood as a contract between the client and the server. This enables great features like code generation or opportunities for mocking data on the client and server-side. This approach makes it easy to retrieve simple data points from the database. However, accessing more complex data that’s potentially nested under different branches in the JSON tree (which is a very common scenario in the majority of applications) becomes very cumbersome and is likely to have a poor performance. Other common requirements of many applications like pagination or search don’t have any out-of-the box support with Firebase and require lots of extra work. Firebase has no server-side capabilities for filtering data based on certain properties of the objects to be retrieved (e.g. only retrieve users with an age higher than 21). Meaning a client can not specify such filter conditions when calling on or once. Instead the filtering has to be performed by the client itself which can become problematic especially for lower-end devices. Note that Firebase also exposes a REST API where the different endpoints correspond to the paths in the JSON tree. However, due to the unstructured nature of the data being stored, this API provides few guarantees about the data it delivers and thus should only be used in exceptional cases. GraphQL uses the concept of queries for reading data from the database. A query is a simple and intuitive description of the client’s data requirements. The query gets sent over to the GraphQL server where it is resolved and the resulting data is returned as a JSON object. Another way of looking at a GraphQL query is as a selection of JSON fields. The query has the same shape as the JSON response, so it can be seen as a JSON object that has only keys but no values. Having the ability to query nested structures by simply following the edges of the data graph is an immensely powerful feature that makes for much of the power and expressiveness of GraphQL! In addition to last a GraphQL API could accept a few more related arguments for pagination such as first, before, after and skip that can be passed when querying a to-many-relation. This capability of an API makes it very easy to implement pagination on the client by asking for a specific range of objects from the list. With the flexibility of the GraphQL spec, it’s further possible to specify powerful filters on the client that will be resolved by the server. In the Prisma CRUD API, it’s also possible to specify a filter using the where argument to restrict the amount of information that’s returned by the server. Let’s consider two simple examples. It’s further possible to combine filter conditions arbitrarily using the AND and OR operators. The most common scenario to make changes to the database in Firebase is again by using the given SDK (though the REST API also offers this functionality). The SDK exposes four different methods for saving data to the database: set, update, push and transaction. Each of these is to be used in a specific context, e.g. push is used to append new items to a list, set and update can both be used to update an existing data entry (note that the difference between them is very subtle). Deleting data can be done by calling remove (or with set / update and then passing null as an argument). Similar to when reading data from the JSON tree, with all of these methods a path needs to be specified that defines where in the JSON tree the write operation should be performed. With this approach, Firebase suffers from the same limitations that we’ve already noted with querying data. Most notably there isn’t a good way of performing more complex writes to the database in most scenarios, which means again that a lot of work will have to be done on the client-side to compensate for the lack of server-side capabilities. This mutation creates a new tweet, associating it with the author that is identified by the ID "abcdefghijklmnopq" while also returning the id of the new tweet. Mutations, just like queries, allow to specify a selection set that should be returned by the server after the mutation was performed. This allows for easily accessing the new data without additional server roundtrips! The initial product of Firebase was a realtime database which eventually evolved into the more broad backend solution that it is today. Because of these roots however, realtime functionality is baked deep into Firebase’s core. This also means that the API design of the Firebase SDK was focused on realtime functionality from the very beginning, which is why many other common feature sometimes feel a bit unnatural or less intuitive to work with. Realtime functionality in GraphQL can be implemented using the concept of subscriptions. Subscriptions are syntactically similar to queries and mutations, thus again allowing the developer to specify their data requirements in a declarative fashion. Whenever one of these mutations now happens, the subscription will fire and the subscribed client receives the updated data. By including previousValues in the payload, we're able to not only retrieve the new value for the tweet's text (which is nested under node) but also the value of text before the change (this also works for DELETE mutations). Firebase uses a rule-based permission system where the authorization rules are specified in a JSON object. The structure of that JSON object needs to be identical to the one of the tree that represents the database. In general, it’s possible to specify rules for reading and writing data. However, it is not possible to distinguish out-of-the-box between different types of writes, such as creating, updating or deleting data. As an example, this restriction means that you can not express in a simple manner that only a specific audience should be able to create new tweets and a different audience should be able to create and delete tweets. It’s generally still possible to write such permissions but they require getting into the weeds of the Firebase permission system and writing complex and long permission strings. A major drawback of the Firebase permission system is that rules are plain strings that are written into the mentioned JSON object. This approach is extremely error-prone and doesn’t allows the developer to take advantage of tooling to ensure the rules are written correctly. The only feedback developers get on the correctness of their permissions is when “deploying” the rules which makes for a suboptimal developer workflow. Being only a specification of how an API should expose its data, there is no default solution for how permissions should be handled in GraphQL. This means that the way how authentication and authorization are handled in GraphQL really depends on the concrete server-side implementation. Learn how to implement permissions in your GraphQL server with this tutorial. A major part of the value of any server-side technology is the ease of using it on the client. As already mentioned, Firebase’s recommended way of interacting with their backend is by using their custom SDKs. The REST API can be used as well but is more cumbersome to work with due to the unstructured nature of the JSON database that results in a certain unpredictability when accessing it through REST. Firebase provides SDKs for all major development platforms such as Android, iOS and the Web. For the latter, there are also specific bindings for UI frameworks like React or Angular. When deciding to use Firebase for their next project, developers make themselves completely dependent on the infrastructure that is provided by Google. If Google takes down Firebase, the application’s whole data layer will have to be rewritten! Apollo: A fully-featured and flexible GraphQL client. It offers handy features such as caching, optimistic UI, pagination, helpers for server-side rendering and prefetching of data. Apollo also integrates with all major UI frameworks such as React, Angular or Vue and is also available on iOS and Android. Relay: Facebook’s GraphQL client that was open-sourced alongside GraphQL and recently upgraded to its official 1.0 release: Relay Modern. 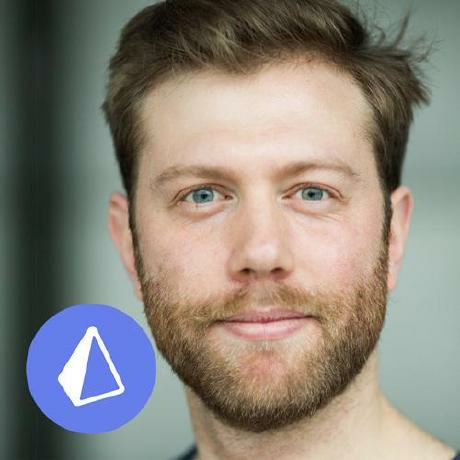 Relay is a very sophisticated GraphQL client that however comes with a notable learning curve. It’s not as easy to get started with as is the case for Apollo. It’s however highly optimized for performance and especially shines in the context of complex and large-scale applications with lots of data-interdependencies. For a deep-down comparison of Relay and Apollo, you can check out this article as well as How to GraphQL guides for comprehensive tutorials. Another way of talking to a GraphQL API is by using GraphQL bindings which you can imagine as auto-generated SDKs for a specific GraphQL API. There are no standards that Google adheres to with the Firebase platform. Development is closed-source and the community for getting help with Firebase is rather scarce (not considering a few Firebase evangelists that seem to produce the entire content around Firebase on the web). GraphQL however is being developed in the open. Everybody is invited to join and contribute to the discussion about how to evolve GraphQL in the future. Despite its young age, an incredible community has already grown around it. Many major companies are moving their APIs towards GraphQL. Facebook of course being the primary example, but also companies like GitHub, Yelp, Shopify or Coursera have hopped on the train and take advantage of all the great GraphQL features! 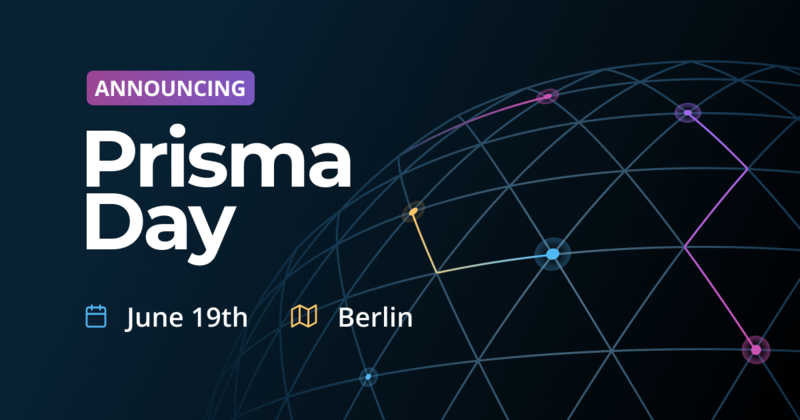 With GraphQL Europe and GraphQL Summit there are two major conferences happening in Berlin and San Francisco that gather the GraphQL communities. Learn more about bootstrapping the React fullstack app in this tutorial. Firebase’s roots as a realtime database still linger in the more evolved backend solution that it is today. Though many features like hosting and cloud storage have been added over time, many essential API features like complex querying or specifying permission rules often feel unnatural and are difficult if not impossible to accomplish. The unstructured nature of the stored JSON data has severe implications for building and maintaining a sustainable codebase over time. With GraphQL, developers get the best of both worlds in terms of flexibility and safety. The strongly-typed schema can be used in many ways, in particular for optimizing performance and developer workflows between client and server. 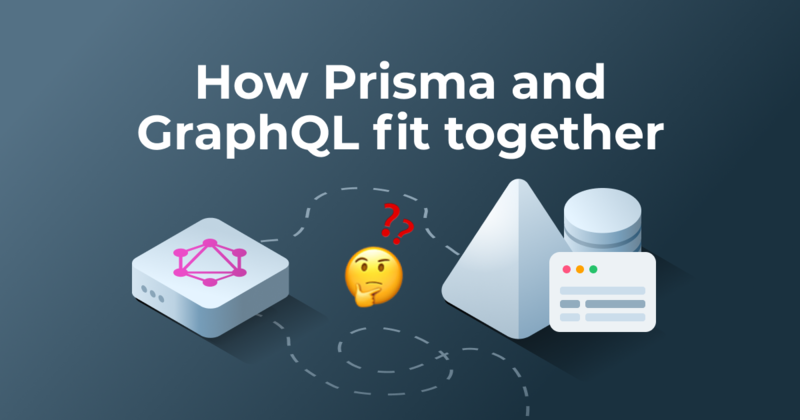 Prisma is the easiest way to build GraphQL servers by providing an open-source and performant "GraphQL ORM" layer.